The UART circuit has an input called rx (receive) and an output called tx (transmit). The rx from the FPGA UART connects to the tx of the USB-Serial converter, and the tx from the FPGA UART connects to the rx of the USB-Serial converter. The signal protocol that will be sent or received is shown above. The line is normally held high when idling. The beginning of packet is a start bit, which holds the line low for one time interval. Next comes the 8 bits in the byte, LSB first. Finally a stop bit, which is the line being held high for one time interval. This UART configuration has one start bit, 8 data bits, and 1 stop bit. The time interval for each bit is set by what is called the buad rate. Serial communication doesn’t have a clock line shared between the two systems to synchronize communication. Instead, both systems must agree to communicate with each other at the same baud rate which is given in bits per second. For our implementation we will use 19200 baud. I will detail a receiver and transmitter algorithm that is similar to what is taught in Pong Chu’s FPGA Prototyping by Verilog Examples. For the FPGA receiver, instead of sampling the rx input line on each tick from a 19200 baud counter/tick generator, we will have a counter/tick generator that ticks 16 times as fast (307200 ticks per second), and thus will count 16 ticks for every data bit. When the rx line goes from idle (high) to the start bit (low), the counter will begin counting ticks. A bit for a 19200 baud rate lasts around 52 μs, so if we want that divided into 16 smaller ticks, each will be separated by 3.25 μs. From the beginning of the start bit, the counter will count up every 3.25 μs until tick 8, upon which we will be in the middle of the start bit. The counter will then be reset to 0, and will then continue to tick. When the counter ticks up to 8 again, the first data bit will be conveyed across the line. When the counter reaches 16, we will be in the middle of the first data bit, and we will then sample the data and reset the counter. We then count up to 16 again and sample the next data bit, and so on for the remaining data bits. By counting up to 16, we ensure that we’re always no more than 1/16 from the middle of the bit when we sample the rx line, regardless of when the asynchronous start bit begins. This scheme is called oversampling, and counting to 16 is slightly arbitrary. Keep in mind that if we needed a higher baud rate, counting to 16 could be limited by the system clock being too slow. When idling and the rx line goes low, the start bit has arrived. Begin counting the oversampling 16*baudrate ticks. Once 8 ticks are counted, reset the counter. Once we have counted 16 ticks, we are in the middle of the first data bit. Sample data by shifting it into a register for received data. Repeat above step 7 more times for remaining data bits. Finally, rx line is high for stop bit. Count 16 more ticks, then go back to idling. The circuit takes an input for the rx line, baud_tick from an external tick generator, and has outputs for the receive done_tick and received data. A finite state machine with data path (FSMD) is implemented to achieve the receiver algorithm that we specified. Next we need to create a transmitter circuit that can transmit a packet across the FPGA UART tx line to the PC for the stopwatch time. The transmitter circuit will have a similar algorithm as the receiver, except we now need to transmit a proper packet according to the agreement of having the FPGA tx line to the rx line of PC UART held high when idle, go low for a start bit, convey 8 data bits, and a final stop bit, all at the agreed 19200 baud rate. We will use the same oversampling baud_tick generator to schedule the state of the tx line. Until we need to transmit a data packet, idle and hold tx high. Once tx_start input is asserted telling us to send data, pull tx low and count 16 of the baud_ticks. Shift in the data to be transmitted to a data register. Set tx to the state of the LSB of the data register and count for 16 baud_ticks. Right shift the data register by one to shift the next data bit to the LSB. Repeat steps 4 and 5 seven more times for the remaining data bits to be transferred. Hold tx high for 16 baud_ticks to transmit the stop bit, and go back to idle. The circuit takes an input to start transmitting data, a baud tick from an external baud tick generator, as well as the 8 bits to be transmitted. The circuit has an output tx line, and a line for the transmission done tick. A FSMD is again implemented to achieve the transmitter algorithm that we specified. Next we will implement the complete UART controlled stopwatch circuit. We will use the stopwatch circuit from the previous post, as well as the seven-segment multiplexing circuit. The master circuit will also implement a FSMD, with an idle state that processes received ASCII characters from the FPGA UART receiver circuit. A c/C will clear the minSecTimer, a g/G will start the timer, a s/S will stop it, and an r/R will move to the next FSM state to start transmitting the time through the FPGA UART transmitter circuit to the PC UART receiver. Five states follow the idle state, two for the minute values to be transmitted, one for a ‘.’ to be transmitted, and two for the second values to be transmitted. It will also have the 16*19200 baud rate tick generator for the receiver and transmitter circuits. Since our system clock runs at 50Mhz, to tick 16*19200 = 307200 times a second, we will need to count 50E6/307200 = 163 system clock cycles before outputting a tick. The tx and rx lines are routed to GPIO on the FPGA board that are then connected with wires to the corresponding rx and tx inputs on the USB-Serial converter, which we then connect to a PC with a USB cable. The FPGA ground is also connected to the ground of the USB-Serial converter with a wire. 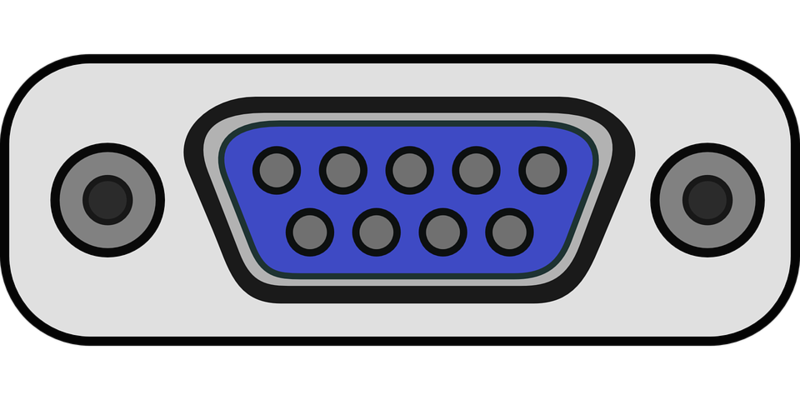 We then need a serial terminal such as Bray’s Terminal to send and receive data on the PC side. We have to be sure to set the baud rate to 19200, data bits to 8, no parity bit, and 1 stop bit. To make the experience a little nicer, I wrote a short Python program to communicate with the FPGA using pyserial. The pyserial module needs to be installed for Python 3, which can be done from the command line with the command: pip install pyserial . Above is a demonstration of the system being controlled with the python program. Here is a link to the full source code on GitHub along with the UCF for the Basys 2 that was used. 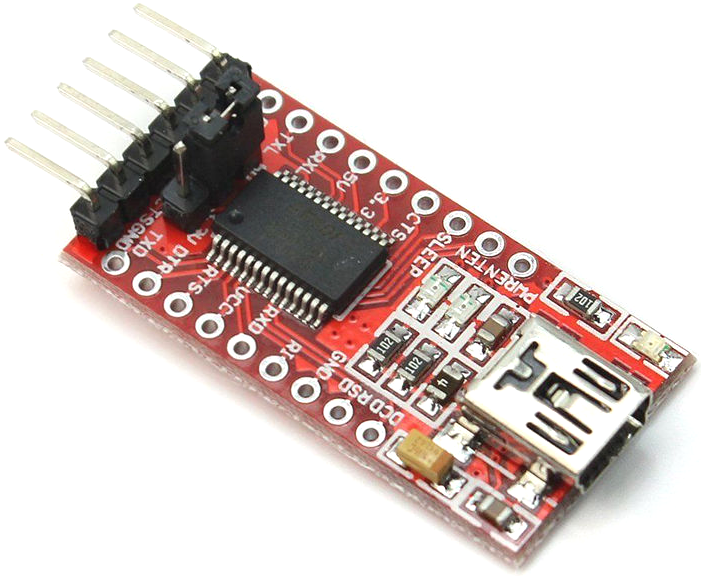 ← ATtiny85: Debounce Your Pushbuttons!